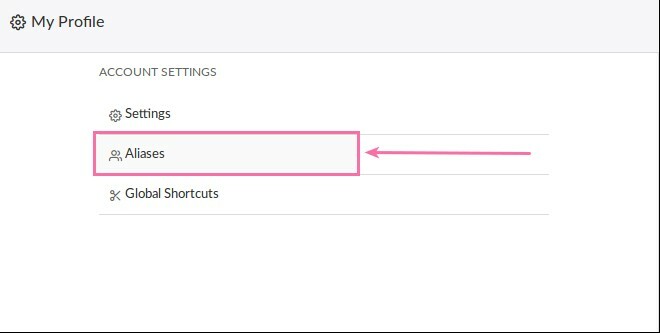 Go to Aliases under Account Settings. 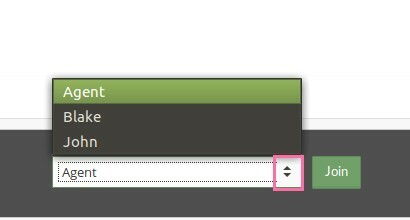 You can edit an already existing Alias by clicking on it in the list of existing Aliases or you can create a new Alias by clicking the green “Add Alias” button in the top right corner. 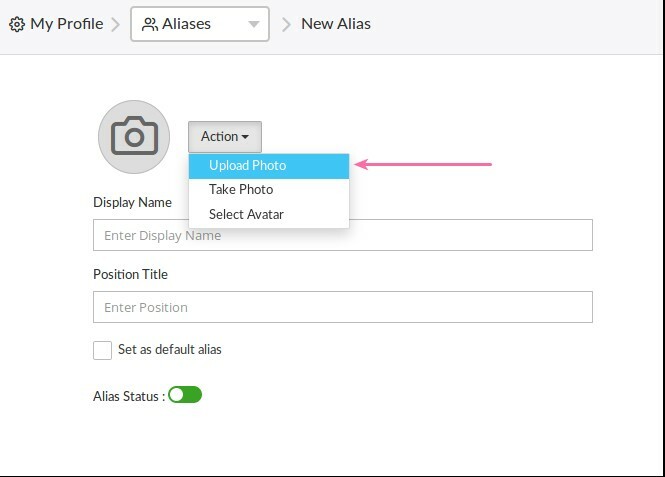 To Delete an Alias check the box to the right of the Alias you want to Delete and then press the delete button that will appear. When you answer a chat using an Alias you can choose to display an image in the widget. To add an image to the chat widget pull down the “Action” Menu to display image settings. Then Upload or Take a Photo. NOTE: This image will only appear in the widget when an incoming chat is answered using that Alias. 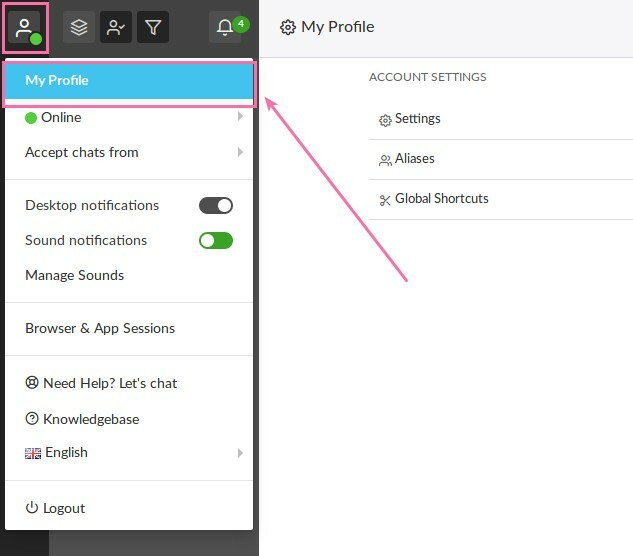 To answer an incoming chat using an Alias just click on the menu to the left of the Join button and Select the Alias you want to use. Then click Join. You can set any Alias to be the Default Alias that will be pre-selected for you.